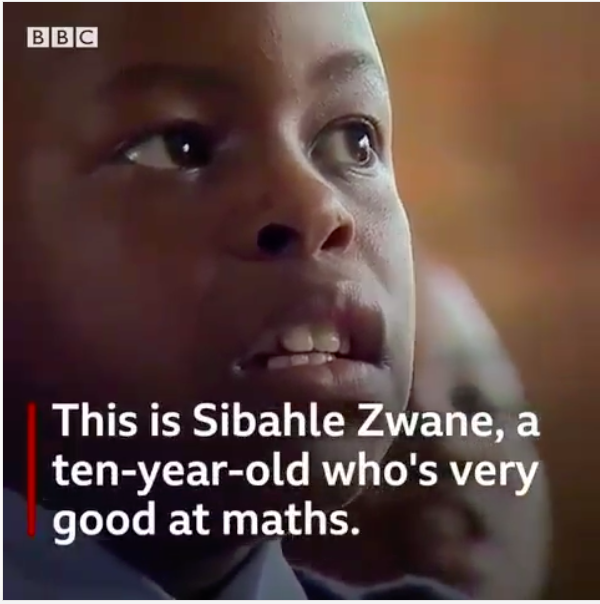 Sibahle Zwane is a 10-year old South African maths genius and he is taking over the country’s social media. He has the amazing ability to answer complex arithmetic questions in seconds. According to BBC, he first gained fame when he was filmed answering complex maths questions from a local policeman. In this quick feature on BBC, Sibahle lives up to the hype. BN Sweet Spot: Odion Ighalo is still his Mum’s Baby ? Such a sweetheart! Well, Thank God he is in S.A, a country that values and appreciates talents. Our WizBaby is going to be groomed for success. All the best in life boy! What a talent! !